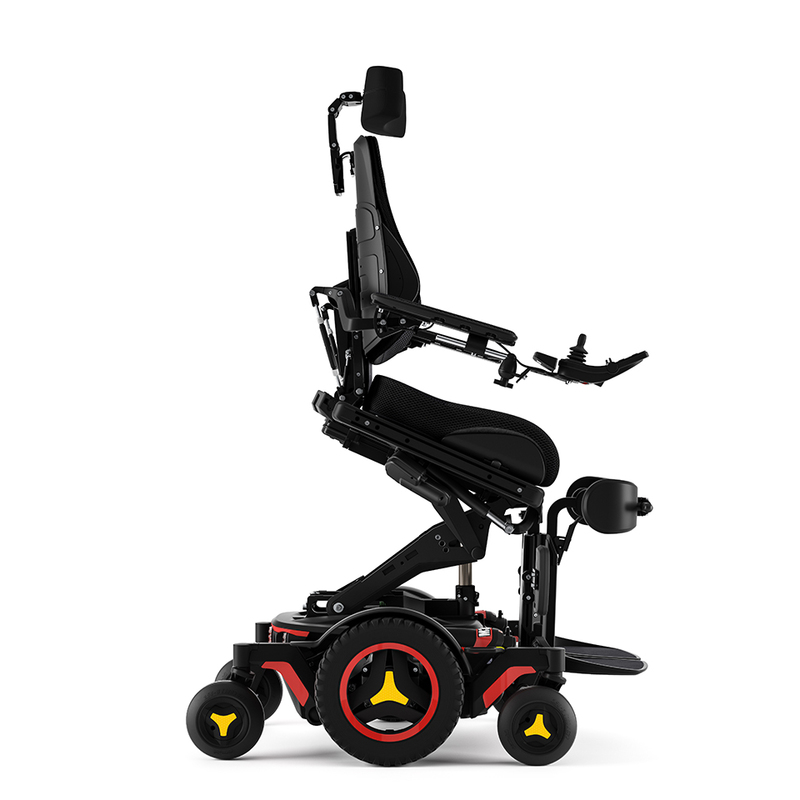 12” & 14” seat elevator options with actuators that are almost 2x faster than ever before. Quickly raising you above the status quo. 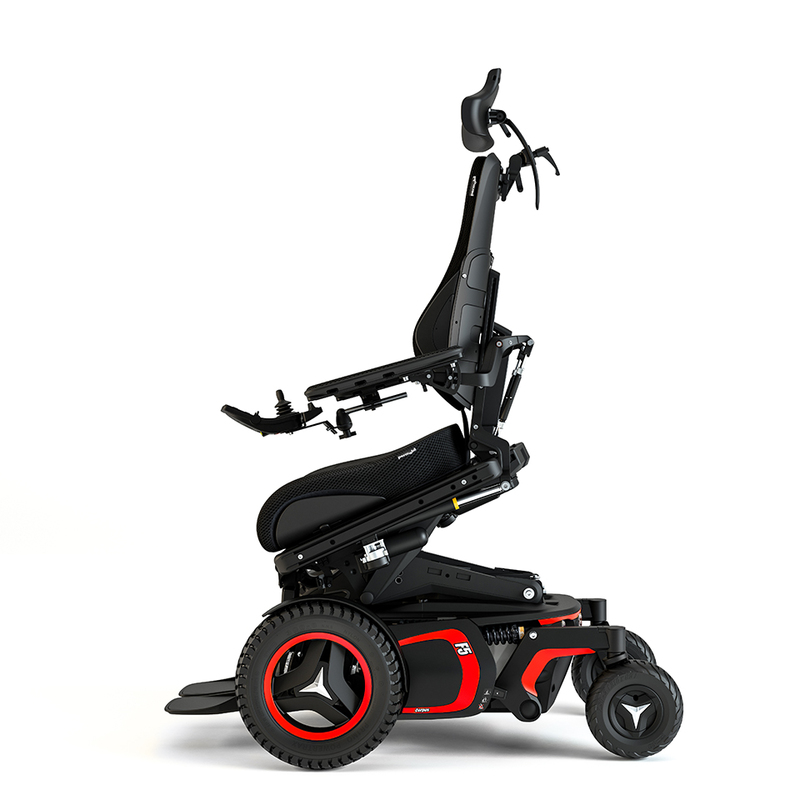 Go beyond typical seat elevation to maximize your function. 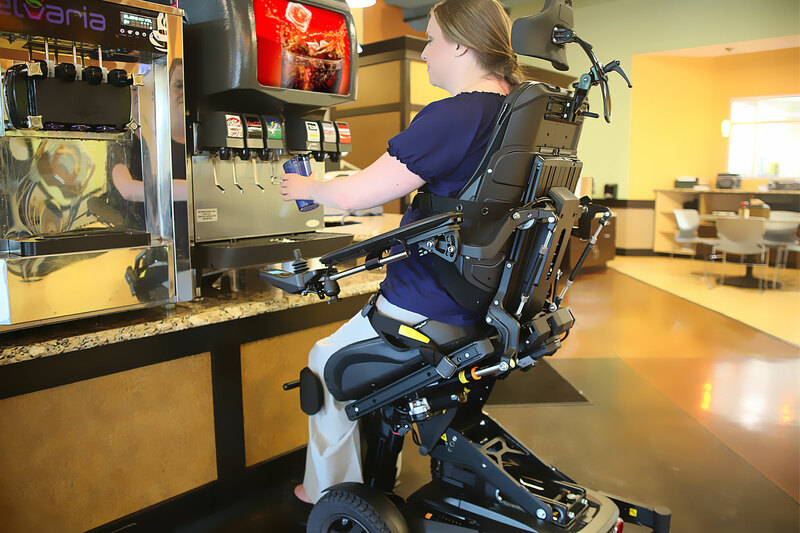 Every F-series chair equipped with an elevator can also offer a programmable Anterior Tilt package of up to 30 or 45 degrees. 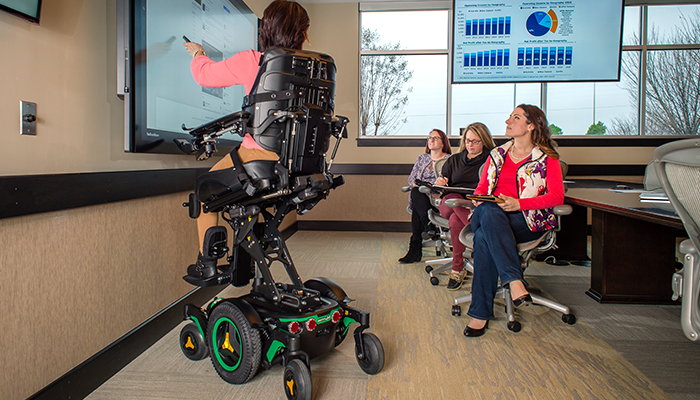 While functional reach and transfers are improved using a seat elevator, many functional tasks are still limited as the chair is positioned sideways to the task at hand or your knees are unable to remain under tabletops. 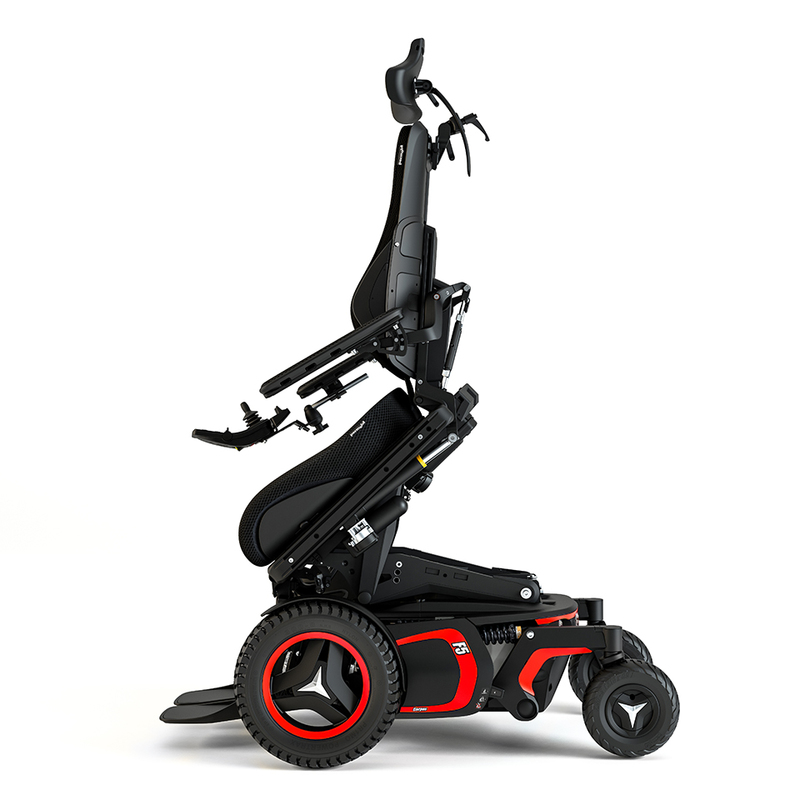 Permobil’s ActiveReach Technology pairs 12″ and 14″ of seat elevation with functional reach packages so that you can face your objectives as well as a variety of possible transfer positions. 10º | Assists with stand pivot and lateral slide board transfers. 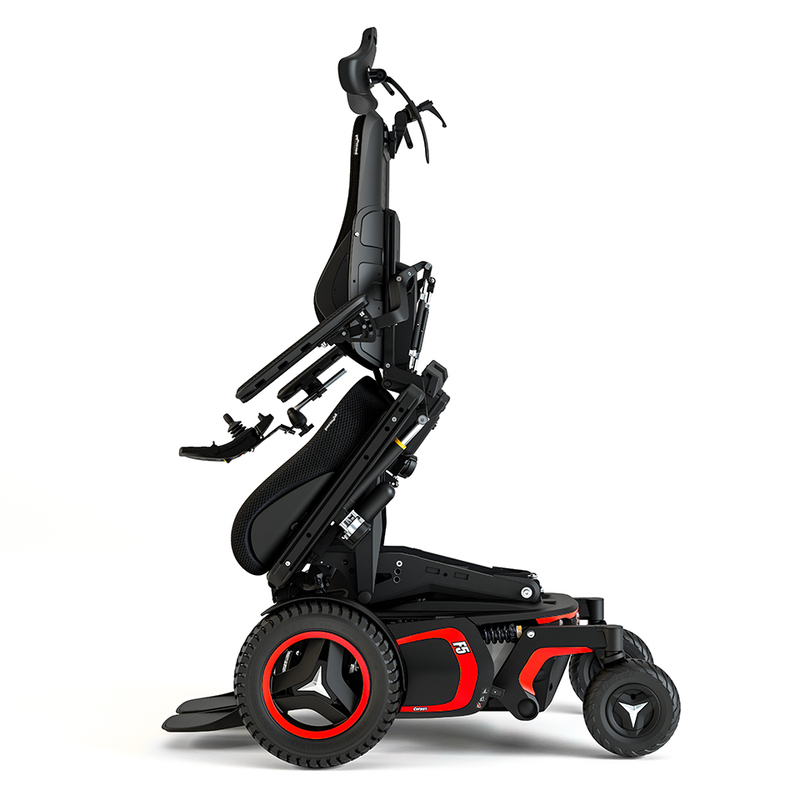 Overcome fixed hip angles and maintain a functional line of sight. 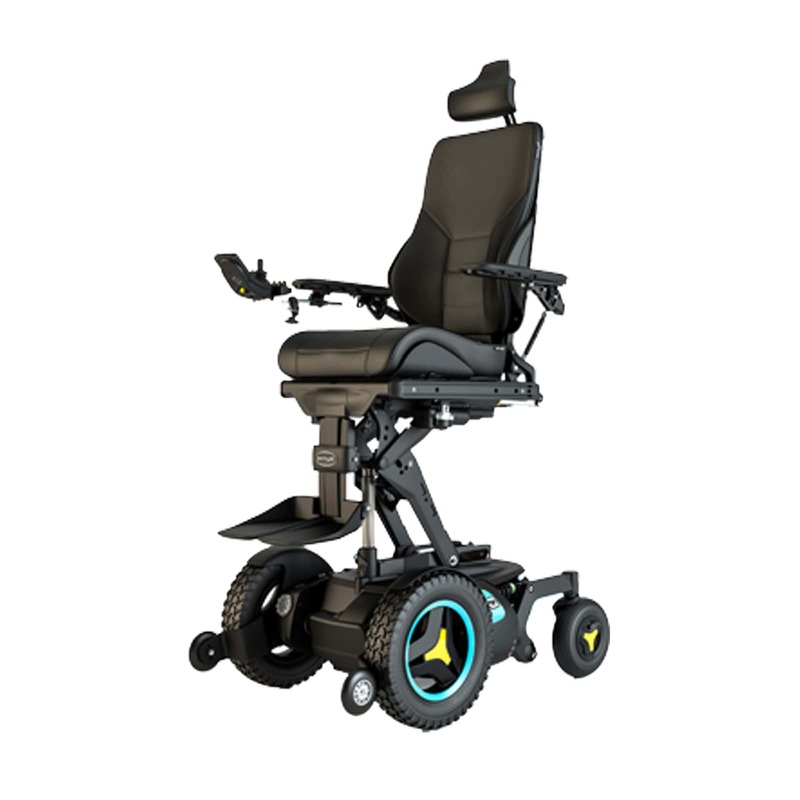 20º – 45º | Programmable backrest and legrest angles ensure stability and function as you move into a fully tilted position. 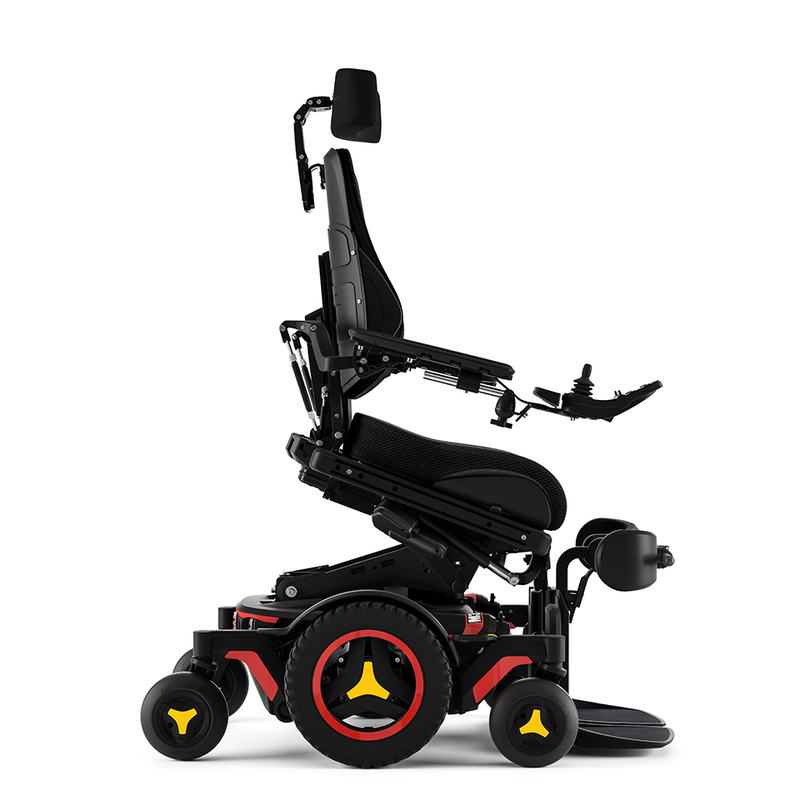 The removable knee block maintains positioning throughout. 30º – 45º | Position footplates to the ground negating the need to flip up footplates for safe transfers.